Mr. George Supatashvili graduated from Tbilisi State University, Department of International Economics with specialization of Economist. In 1993-94 he continued studying Business Administration in Cyprus. In 1995-99 he studied at Tbilisi Social-Economic University. Mr. Supatashvili has attended various trainings and certification courses in financial management. 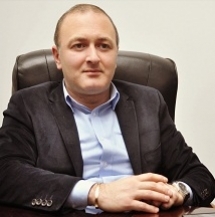 Mr. George Supatashvili is a Chief Executive Officer of Caucasus Auto Import since 2012.